What makes or breaks high performance executive teams? According to recent McKinsey research, companies with diverse executive leadership exhibit better short-and longer-term financial performance. Women in revenue-producing positions also correlate to better performance. Let’s get to the bottom line. There is a secret to high performance executive teams. It’s not because everyone is a team player. It isn’t because individual IQ’s hit the ceiling because they are so high. The secret lies in how executives treat one another and whether female executives are held in high regard and occupy senior positions. Let’s take a look at each of these two criteria individually. Women occupy senior positions on executive teams. A Harvard Business Study on team composition recently concluded that collective IQ is not an indicator of high performance executive teams. The study conducted by Professors Woolley and Malone, along with Christopher Chabris, Sandy Pentland, and Nada Hashmi, observed teams made up of people from age 18 to 60. Team members were randomly assigned and were given standard intelligence tests. Then they were given a complex problem to solve. The teams made up of people with the highest IQ’s did not out perform other teams. Those teams that did out-perform the others had more women in them. The Harvard study concluded that, social sensitivity is a key skill for group maintenance and that women consistently score higher than men on the social sensitivity scale. 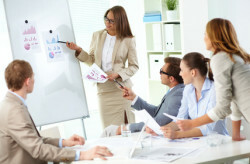 The teams composed of men also displayed more team dysfunction, such as dominating group decision making with singular or individual opinions, which damage high performance executive teams. Women, on the other hand, drew everyone into the conversation and were better listeners. As a result, complex problem solving was more successful. Team members were more engaged and committed to outcomes. They also understood their own roles better and how their individual performance impacted other members of the team. This means that projects are more on target when women in leadership positions are on them. This also means from a bottom line business perspective that projects roll out with the potential of completion ahead of schedule and under budget. Perhaps you already knew this. If you are the CEO of a technology company, for example, then another statistic should alarm you. Another study of 500 Tech Companies found that companies with a good mix of women earn more. They make more sales. They keep their customers. Yet mid-level female technology executives are leaving companies because of poor working environments. The women love their jobs but not the way they are treated by male co-workers in the workforce, which impacts high performance executive teams in very negative ways. What is most alarming for the bottom line for any organization. When women who hold mid-executive positions leave companies, performance, productivity and earnings suffer. When they leave, there is a noticeable brain drain in the organization. They take organizational history, their stellar performance and experience with them. What’s the solution? This leads us to condition number two. How executives treat everyone impacts executive teams. Not everyone needs to be a team player on management teams. This means that leadership style and personality inventories are good to a point. Managers learn that how individual team members think, process information and communicate can be different. This is OK. Taken a step further, there is awareness that people come to the table with different strengths when solving problems and achieving goals. They also become defensive in different ways when egos are challenged. What corrals this diversity is a behavior agreement that outlines and dictates how people are expected to treat one another in the company and in departments. Behavior agreements form a very important step in sound organizational development called group norms. This is key to building high performance executive teams. Group norms are shared expectations on behavior. When left to develop on their own, group norms form the underground current and unspoken way things are done in the organization. An example of unproductive and harmful unspoken group norms are that women are treated poorly even when they hold mid-level executive positions. Women are paid at a lower than men to perform comparable work. Other unproductive group norms are when hostility, gender put downs and sexual harassment are tolerated. So, what are examples of positive group norms that are measurable and easy to track? TIGERS® Success Series is rolling out their TIGERS Workforce Behavioral Profile™ for both small companies and companies with large departments and divisions. The Profile assesses six principles required for high performance work culture and work teams. The six principles are trust, interdependence, genuineness, empathy, risk resolution and success. 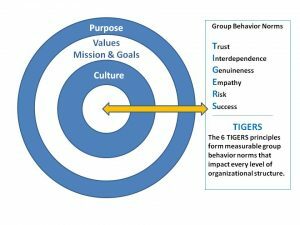 The six principles form the acronym, TIGERS® and are anchored by behaviors that are easily seen in how employees treat one another, your organization and customers on a daily basis. Founded by work culture, change agent and team development consultant, Dianne Crampton, the TIGERS six principles are based on 5 years of group dynamic research and validation. 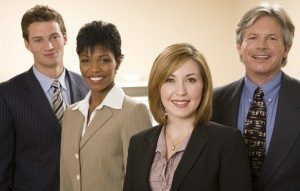 If you want to see how your organization lines up with the six principles, the TIGERS Workforce Behavioral Profile™ is available for you to run on your own and with your own human resource personnel. Let’s look at each of the six TIGERS principles. Let’s also look at some behaviors you might consider incorporating into your own behavioral group norms. Trust is the belief and confidence in the integrity, reliability, competency, predictability and fairness of a person or organization. Trust is an essential human requirement. It is required for people to form positive and cooperative relationships. As a group norm, it reduces group friction when conflict or problems arise. It forms over time and, if abused, takes time and forgiveness to rebuild. Decisions are perceived to be unfair. Behavior is inconsistent and unpredictable. Leaders or team members fail to follow through on commitments. Leaders or team members lack transparency, misrepresent what is true or lie to cover up mistakes. Trust is so important to group relationships that both work culture and department performance suffer if trust is damaged. It also has an impact on group problem- solving. In low trust work groups, problem-solving actually breaks down. Everyone shares needed information freely. We discuss ideas and disappointments freely. We expect high levels of give-and-take in our work assignments. We are committed and accountable to group goals. We are committed to maintaining good team relationships. Interdependence is based on the idea that successful team performance is based on the collective contributions of everyone involved. As a group norm, this principle requires self-awareness, time for reflection, the desire to cooperate with others and appreciation for the different skills, strengths and talents each team member brings to a project. Interdependence also requires effective communication, goal clarity and accountability for maintaining positive team relationships to accomplish goals on time and with excellence. Sharing and exchanging leadership roles based on strengths. Here are some examples of group norms that keep Interdependent behavior high. We cooperate with other another rather than compete to get things done. We base role assignments on the strengths individual team members bring to the team. We request training when we believe skills are lacking. Genuineness promotes sincere, honest, respectful and direct communication in an open and responsible way. One way to encourage genuine behavior is to openly promote critical thinking Another way is to engage a system for effective problem-solving. An effective system would take into consideration both negative and positive consequences before choosing a resolution. This gives team members the opportunity to bring their contrary insights and perspectives to the table for consideration within the framework of good problem-solving design. Fear of being forthright about one’s thoughts and perspectives because of potential repercussions. Desire to conceal ulterior motives. Lack of skill in giving a receiving clear, constructive feedback. Lack of skill in coaching performance. We honestly and respectfully clear up misunderstandings we have with one another face-to-face within 48 hours. We do not gossip about one another. We welcome controversy and different view-points and use these for effective problem solving, planning and decision-making. We communicate our honest perspectives even when a perspective goes against how things are currently done. We bring solutions to problem-solving rather than complaints. If we see a problem, we bring it to attention right away. Relationship conflict impacts productivity and undermines team performance. The permission to share perceptions, thoughts and insights within the framework of positive inquiry actually builds relationships and accentuates team member strengths. Therefore, Genuineness is essential for high-performance work culture and department success. Empathy is the ability to understand the feelings and ideas of another person whether that person agrees with you or not. It is the ability to imagine what another person’s situation might feel like if situations were flipped. The right to emotional safety. The right to physical safety. The opportunity for professional growth and fulfillment. Executives who use empathy to understand an employee’s thoughts and actions display high levels of personal power. This is the type of power needed to take action to improve understanding during conflict and to initiate relationship improvements. Empathy is required to create a work culture that is kind, supportive, creative and feels safe to be in. We seek first to understand what went wrong and solve problems at the root cause rather than blaming team members for mistakes. We listen before interjecting our own ideas. We clear up misunderstandings within 48 hours of occurrence. We communicate if we are feeling defensive and need to take a break before continuing with difficult conversations. We treat one another with respect and kindness. Risk is the potential exposure to loss or injury. It is the hesitation people feel before they disclose something that might result in repercussion. On the downside, the fear of risk results in stagnation. On the upside, risk is the fuel behind change and innovation. Organizations that are risk resolving do not shame people for making mistakes. Instead they are learning organizations that analyze the root cause of failure and learn from mistakes. The use of measuring and monitoring processes that correct problems as they occur and after goals are achieved. We stop processes immediately when mistakes are found. Not dealing with a problem or mistake is prohibited. We continually learn to improve our work skills, social skills and attitudes. We are courageous and try new ways of doing things to keep up with our market. We are committed to solving problems at the root cause. We are a learning organization and provide training and development for mangers and employees. Success is profitably accomplishing what an organization has set out to do. There is also an element of employee psychological satisfaction for goals achieved. This creates a balance between work and employees. Cohesive work groups and project teams possess group norm integrity. Members contribute diverse knowledge, experience and skills to achieve more complex goals than independent workers can do on their own. Therefore, information sharing, commitment and accountability for the process are essential for successful goal achievement. From a work culture perspective, success keeps organizations in business. From a department cooperation perspective, it is important that every employee clearly understands and commits to the culture and group norms of behavior along with the organization’s purpose, mission and goals. Without this employee disengagement or high turnover is an outcome. We recognize one another for successful goal achievement. We adhere to our time commitments. We have team meeting procedures clearly outlined and every employee is accountable for them. We bring problems to light in our deliverables way in advance of when our deliverables are do so problems can be resolved. We demonstrate our appreciation for the skills and talents each team member brings to a project. We enforce our group norms of behavior. Repeated infractions by any employee is grounds for termination. We freely share information with one another so our goals are successful. We rally around a team member who is stuck on a problem and work together to resolve it. The secret to high performance organizations is based on two conditions. The first is ensuring that women occupy leadership positions on teams. The second is developing high functioning and measurable group norms of behavior that apply to everyone. Challenging and clashing personalities do not have to equal workplace drama when behavioral norms are in place. This frees team leaders and managers to actually get work done rather than dealing with personality problems. Once you have developed your group norms, then other guidelines can be developed that enhance group process. Just make sure you have skilled women on your team and that your group norms are in order and committed to by everyone. Call 1-877-538-2822 US or 1-541-385-7465 international to inquire.